This past weekend we had another beautiful North Georgia Wedding with a really sweet couple. Congratulations Tiffany and Justin. 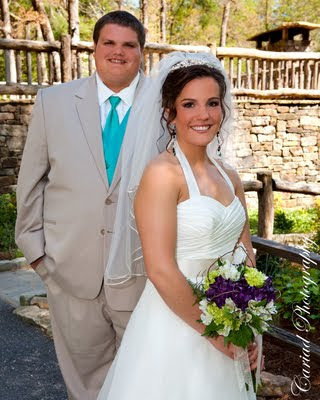 Highlands, NC Wedding - Thank you Shirley and TJ! I cannot get over how magnificient our wedding photos are. You are the most talented and naturally gifted photographer I have ever seen. Thank you from the bottom of my heart for capturing our day so beautifully. Plus, you connected me to all of the vendors that did an amazing job to make our day perfect: Tim Lundy and Jody Carr. 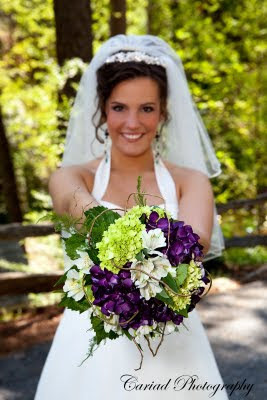 You have an incredible team to make brides' dreams come true! THANK YOU!!!! Shirley Minton Russell and TJ Russell"
The weather is turning beautiful for the most part and that is always a sign of the beginning of our wedding season. From now on things will get very busy for us, weddings to photograph, engagement sessions to set up and shoot, photo post work to be done and in between I might have to take the time to photograph one of our couples new baby. This past month we have had some fun shoots......... we photographed two music and singing groups, Divine 3 and Mountain Faith for their new CD covers. Congratulations to Mountain Faith for being put under contract and Divine 3 on their new CD. Of course we already had weddings and last weekends event was in Highlands N.C. This week is going to be just as busy......and we have a lot of fun to look forward to.